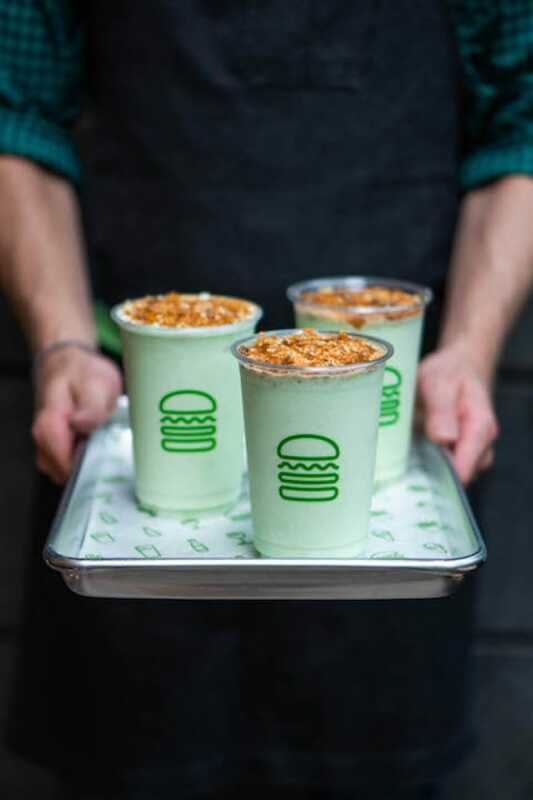 American gourmet burger chain Shake Shack might be one of the world’s most well-known casual restaurant brands, but its culinary director Mark Rosati says that the fine-dining world fuels much of his inspiration to create the chain’s acclaimed burgers, hotdogs and milkshakes. 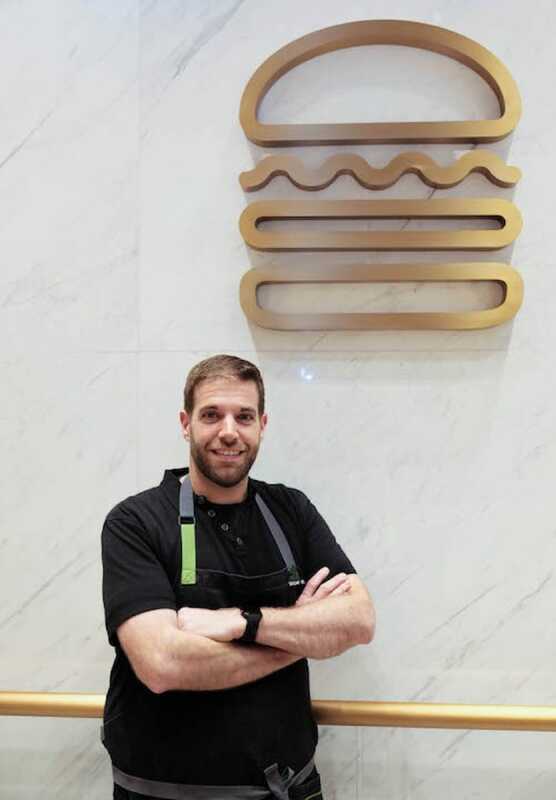 In Singapore to promote South-east Asia’s first Shake Shack outlet last week, Rosati says that he and his culinary team extract ideas and cooking techniques from their experiences of cooking at fine-dining restaurants. 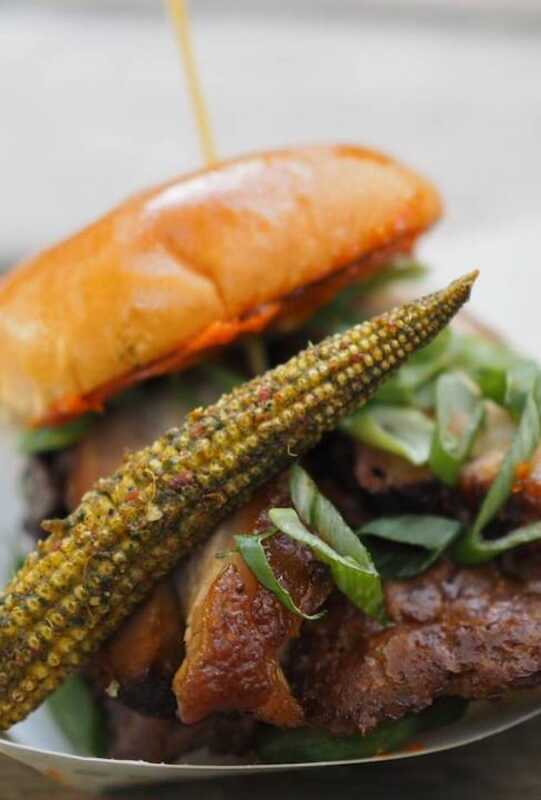 For example, the ChickenShack Sandwich, which is not available in Singapore, features chicken breast meat that is cooked in the sous vide method in buttermilk before it is dredged in butter and deep-fried. At the chain’s Innovation Kitchen, which opened in its flagship West Village location in New York City last September, Rosati created a salad with smoked raisins and vegetable purees. Even though Shake Shack started as a hot dog cart in Madison Square Park in 2000, it has fine-dining roots, as it was founded by prominent restaurateur Danny Meyer of Union Square Hospitality Group, which used to run three-Michelin-starred Eleven Madison Park. In fact, Shake Shack operated out of the kitchen in the restaurant’s private dining room for its first three summers. Over the years, Shake Shack has collaborated with top chefs to come up with burgers. Massimo Bottura of three-starred Osteria Francescana, who is opening Gucci Osteria da Massimo Bottura in Singapore, concocted an “Emilia” burger with salsa verde and balsamic mayonnaise, while Daniel Humm of Eleven Madison Park created a truffle-laden cheese burger on the chain’s 10th anniversary. That research has yielded four new menu items at its 211st outlet in Jewel Changi Airport, a shopping and lifestyle complex, which opens to the public tomorrow. While no new burgers have been created for Singapore, the 190-seat restaurant offers four exclusive-to-Singapore desserts. They include Pandan Shake (left), a vanilla frozen custard ice cream that is blitzed with pandan, coconut and topped with gula melaka crumble. It is inspired by ondeh ondeh, a ball-like pandan glutinous rice kueh stuffed with gula melaka. The chain’s frozen custard ice-cream, called Concrete, has three new flavours here including Jewla Melaka, which has vanilla custard mixed with coconut salted caramel, shortbread, gula melaka and chocolate chunks from homegrown chocolate-maker, Lemuel. Five burgers are on the menu here including the iconic ShackBurger, which features its iconic pan-smashed Angus beef patty that is draped with cheddar cheese, and ‘Shroom burger that has a breaded patty of portobello mushrooms with a moreish blend of Monterey Jack, Colby and Tilsit cheeses. 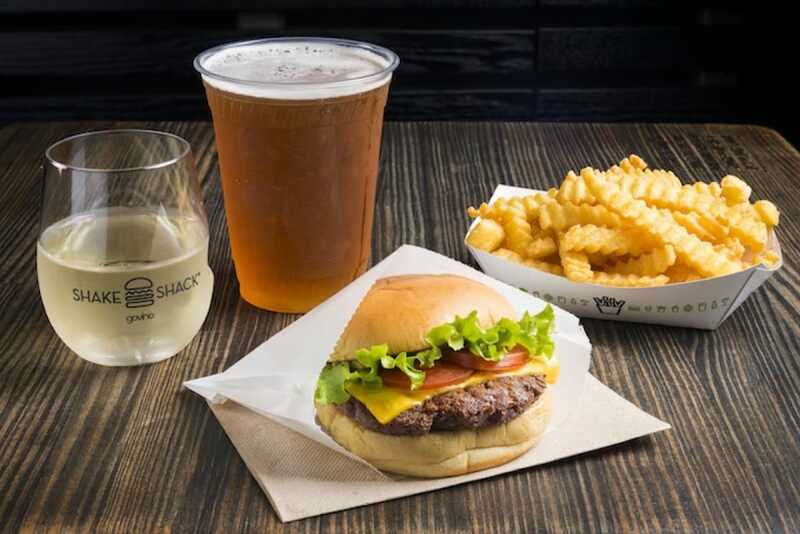 Shake Shack’s Singapore outpost is brought in by South Korean food giant SPC Group, which runs the Shake Shack franchise in Seoul and bakery chain Paris Baguette. Rosati adds that there are plans to open around 10 Shake Shack outlets in Singapore. We catch up with Rosati, who shares with us his creative process behind Shake Shack’s mouth-watering treats. 1. Share with us how are you inspired by fine-dining cuisine? Though I cook more simplistic food these days, I started out cooking in fine-dining restaurants. I like how there are so many components in each dish, which are complex and executed perfectly. The cooking techniques and ideas behind the food in fine-dining restaurants usually stay relevant for the next five years. It is exciting to incorporate some of these ideas into burgers or fries on a large scale. 2. What are some fine-dining inspiration that you have used in Shake Shack? Besides using sous vide chicken in the ChickenShack sandwich, I get inspired by the fermentation technique. For our Seattle outlet, I created a cheeseburger with onions that have been caramelised with Marmite yeast extract to give the beef patty a richer and more umami flavour. The burger tastes meatier and more unctuous with the addition of Marmite that promotes the fermentation process. I got the idea from The Fat Duck’s Heston Blumenthal. Whenever he cooks beef and onions, he always adds star anise to create a richer flavour. Along the same lines, beef always tastes better when cooked with caramelised onions, while yeast is known for its umami flavour. I combined different ideas and rolled them into one. 3. Singaporeans love their durian. Will the King of Fruit make it into the Shake Shack menu? I have not done anything with durian, though it has an interesting flavour. It smells and tastes like milk that has been aged a bit. We can definitely play around with it and perhaps come up with a durian milkshake with marshmallow sauce and shortbread that has a harmonious mix of flavours and textures. 4. What’s your favourite Singapore dish and how it can make its way into Shake Shack? Laksa from Sungei Road Laksa in Jalan Berseh. It is such a fun and comforting dish, and when you mix sambal into it, you wake up the complex blend of creaminess and spiciness. The idea of incorporating the flavours of laksa into burgers reminds of a burger that we had done for Shake Shack’s second anniversary in Tokyo. We worked with a famous spicy ramen shop, Kikanbo to come up with a ramen-inspired burger (left). The seasonings of the broth were dissected and made into a mayonnaise that was served with pork belly slices. Perhaps a laksa burger could be done in a similar way. Another Singapore-inspired item that might make its way here is the sambal cheeseburger that has a sambal-based mayonnaise, lime juice and marinated onions. We came up with this burger for a Singapore Tourism Board event in New York City in 2015. 5. If you have to choose two burgers for the rest of your life, what would they be? A SmokeShack burger, which is a cheese burger with double-smoked bacon, ShackSauce and chopped cherry pepper. The tanginess and spiciness of condiments balance the richness of the burger. I also like Pie n’ Burger from Pasadena in Los Angeles, which is a drive-thru restaurant that started in 1963. It has one of the best burgers — a cheeseburger with Thousand Island sauce, shredded iceberg lettuce, cucumber and tomatoes that are wrapped in a bun.